6.1 oz 100% preshrunk heavyweight cotton. Ash and Light Steel are 90% cotton, 10% polyester. Charcoal Heather is 60% cotton, 40% polyester. Tagless, double-needle stitching on sleeves and bottom hem; shoulder-to-shoulder taping; high stitch density for superior printability; "C" logo on left sleeve. Great fitting shirt. High quality t-shirt at a great price and from a brand we trust. Perfect for athletic, casual, and work use. "So good in fact that I want my CURRENT order changed so that you use THIS champion shirt instead of the cheaper one! " 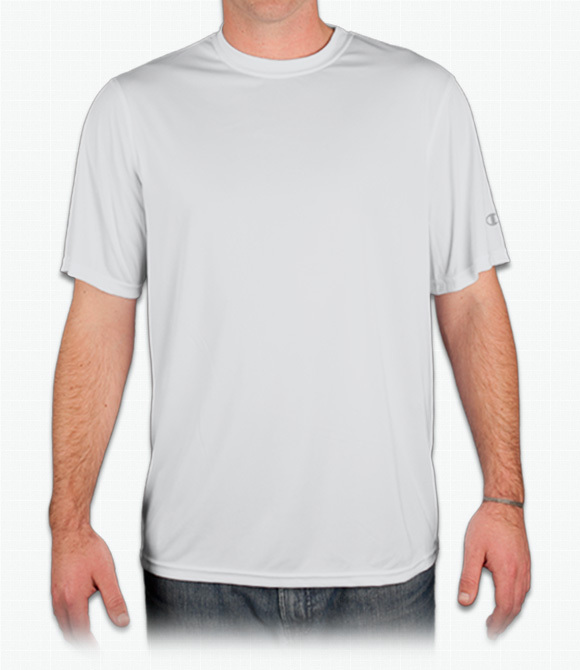 "The shirts are very good quality -not thin or flimsy. They are soft (not super soft, but comfortably soft). " "I liked the options available and this one worked best for me from a price and quality point. Champion is a brand I know and trust for good quality."